Discrete but complicit in every respect. While humans were thought of as inhuman prey. Each generation has evils like these. Condemning the past has no sway on the present. Because owning them would be far too unpleasant? I wasn’t sure what to review for Easter, but Unplanned is the only faith-based film I’ve seen recently, so it made sense. Faith-based films are hard to get right; for every movingly authentic one like All Saints, there’s ten more like God’s Not Dead, which wasn’t terrible but was so aimed at preaching to the choir that it came off as overly self-righteous. It’s hard to say where Unplanned fits in; it’s certainly better than the vast majority of Christian films, both in production quality and execution, but its subject matter lends itself to an immediate taking of sides, depending on your political affiliation. Yet it’s a film I feel everyone should see, and certainly anyone with an opinion about abortion. Unplanned is based on the same-titled memoir of Abby Johnson (played well by Ashley Bratcher) and tracks her path from being a nominally pro-life college student deciding to volunteer at Planned Parenthood to becoming the director of the same Texas Planned Parenthood branch. Despite undergoing two traumatic abortions of her own, she persuades herself under the banner of women’s reproductive rights, believing that she can help make abortion safe, legal, and rare in the process. It isn’t until she witnesses an abortion firsthand that her opinions are truly challenged. As you might have guessed, I am pro-life. I believe that abortion is the legalized murder of innocents, and I pray fervently for the day it is finally banned. I will not condemn those on the other side of this issue, nor those who have had abortions; indeed, I personally know women who have undergone this procedure, who have told me they will regret it to their dying day. I simply and firmly believe that the pro-life movement will one day be on the right side of history. So surely I’m just promoting this film because it reinforces my own views, right? Perhaps, that’s true. But it’s those who don’t share those views who I feel ought to see it, if only for that one early abortion scene. It’s not gruesome in a horror movie kind of way, but it is deeply disturbing, especially because it is realistic, representing what happens regularly every day in abortion clinics across the country and world. The doctor in the scene itself is played by an actual former abortionist, and whether the rest of the film convinces people or not, that one painfully true scene presents an appallingly inconvenient truth. Unplanned has become notable for how little exposure it’s received from mainstream media sources; the vast majority of TV and radio stations refused to air ads, and the few publications that deigned to review the film wrote it off as propaganda. The MPAA board even gave it an R rating, implicitly acknowledging the inherent violence of abortion. Except for a few harrowing scenes, though, it’s got to be one of the cleanest R-rated films out there, and I was pleased to hear its rating did little to affect its surprisingly large box-office draw, thanks to its Christian audience. So back to my main question: is Unplanned just preaching to the choir or something others can appreciate? I think every viewer will have to decide that for themselves. It sometimes has that overly earnest Christian-movie kitsch, including a largely unnecessary voiceover, but more often it’s quite believable and even entertaining, especially when Kaiser Johnson shows up as a smooth-talking lawyer. Sometimes, it makes a point of portraying Abby’s coworkers at Planned Parenthood sympathetically, yet it also villainizes her Planned Parenthood superior Cheryl (Robia Scott) as shamelessly devious (though based on certain leaked videos, I’ve no doubt that such deceit really exists in the organization). The film is at least self-aware enough to call out the negative side of the pro-life movement too, asserting that compassion and empathy are far more effective than shouting and shaming. Unplanned didn’t just reaffirm my position; it clarified the horror of abortion and made me consider how little I’ve done to oppose it. Those who read this may think abortion is perfectly fine and roll their eyes at another Christian movie trying to promote its agenda, but I think too many people talk about abortion in abstract terms without knowing what it really looks like. It’s why abortion clinics discourage ultrasounds and putting a baby’s face on this issue. At the very least, this film offers a persuasive pro-life message for those whose opinions aren’t too inflexible, one that teenagers especially should see; whether people take it or leave it is up to them, but no controversial opinion should be formed based on one side alone. I wish Unplanned focused more on the alternative, namely adoption, but it’s an ultimately powerful testament to what can happen when the truth of abortion finally sinks in. And no one is tall enough for it. And watch other people reach theirs with chagrin. While it’s just out of reach. This struggle, we hate and adore it. In the gifts that it gives. I didn’t realize that I’d be highlighting Meryl Streep’s lesser performances this week (Into the Woods was just a couple days ago), but it just worked out that way. I’ve long held Florence Foster Jenkins in semi-contempt ever since Streep got an Oscar nomination while Amy Adams in Arrival was snubbed. Yet I was curious to see whether her portrayal of the aspiring untalented opera singer was really undeserving or not. While I believe without a doubt that Streep’s Academy clout clinched the nomination, her role as Jenkins does have its strong moments, particularly when it shifts from milking her bad singing for comedy to mixing in the drama of her failing health and self-confidence. I suppose knowing from Into the Woods and Mamma Mia! 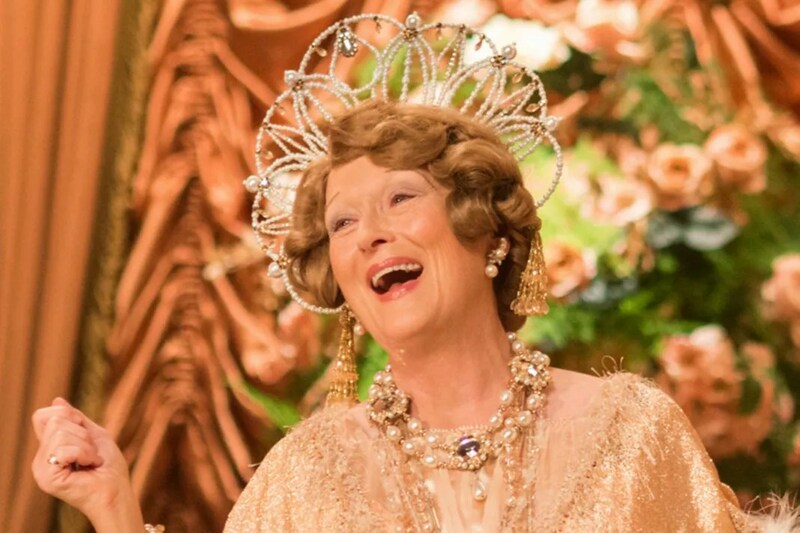 that Streep can sing adds to the role’s difficulty; it takes skill to sing poorly on purpose. I can see Streep’s performance being worthy of an Oscar nom in a weak year, but I’ll take it to my grave that Amy Adams deserved it more in 2016. Nearly overshadowing Streep is Hugh Grant as her husband/manager St. Clair Bayfield, who repeatedly swings the audience’s opinion of him; at first, he seems a faithful husband, then a cad when we realize he has a mistress, then somewhat sympathetic when the circumstances are clarified, then back to amazingly sweet and selfless husband by the end. Likewise, Simon Helberg as Cosmé McMoon, Jenkins’ self-conscious pianist, serves well as a stand-in for the audience, shocked by Jenkins’ naivete about her lack of talent but hesitantly supportive of her efforts. 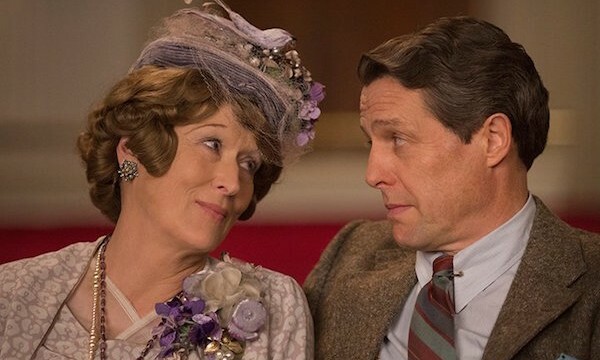 Florence Foster Jenkins is a well-written biopic I doubt anyone was clamoring for, but it’s better than its title character’s voice might indicate. While it extracts inspiration from Jenkins and her eagerness to share her passion and fulfill her dream whether the listening world likes it or not, it didn’t quite convince me whether that was a good thing or not. When someone aspires to be legitimately famous, would they really be satisfied with becoming infamous instead? Did not need me as you did then. Too soon you joined the world of men. For news that you are here no more. Although you’ve left my heart so sore. And wish I held you close once more. Do you remember the final, heart-breaking scene of Philadelphia, where the film gives us a stark comparison between the disease-ridden character that just died and his innocent child self, subtly asking how someone once so pure could have been brought so low? 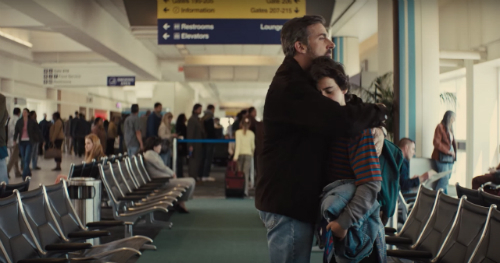 That’s essentially what Beautiful Boy is, just stretched out to feature-length, yet still quite affecting, thanks to Oscar-worthy turns from Steve Carell and Timothée Chalamet as a father and son plagued by drug addiction. Carell plays real-life journalist and father David Sheff, who in the early 2000s had to endure the pain of watching his son Nic (Chalamet) battle a meth addiction. The story is rife with flashbacks, many of which contrast Nic’s current struggle with his free-spirited childhood, as I said. Some also offer hints of what led him down the dark road to addiction, as when he defends his early gateway drugs in the name of youthful experimentation, just as his father did back in the day. Yet the phase that David grew out of, Nic succumbs to, leading to an emotional rollercoaster as he goes in and out of rehab with David desperate to help him any way he can. 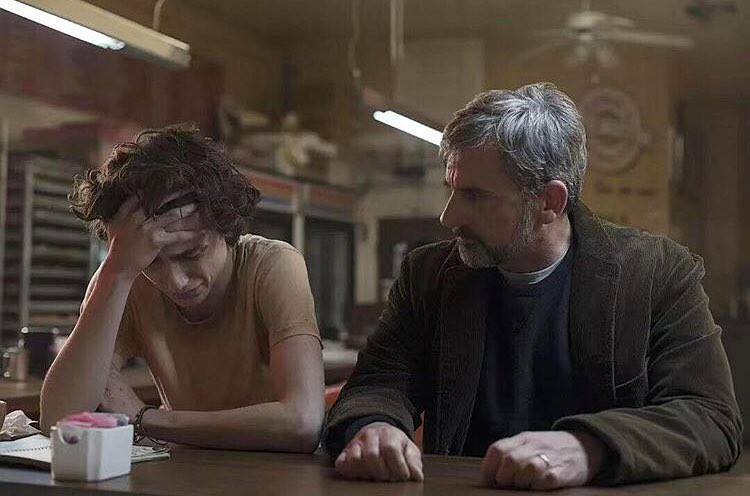 Since it’s what I call a Triple A movie (one that’s All About the Acting), I’m honestly shocked that Beautiful Boy was entirely snubbed by the Oscars, though it did get a couple nominations at the Golden Globes, including one for Chalamet. The repetitive plot ends up feeling longer than it really is, perhaps because it’s emotionally draining as well, but there’s genuine heartfelt talent here, not to mention the extra-timely subject matter, which brings home the personal cost of America’s drug epidemic in stark, sympathetic detail. I’ve personally never understood the attraction to drugs, but this movie brings into focus how destructive they are and how unpredictable their effects can be, with one man’s single experiment becoming another man’s road to addiction. I can see why it might not win Best Picture, with its excessive flashbacks and music (occasionally intrusive) stressing how dramatic it is, but the snub is hard to believe, especially compared to 2016’s Manchester By the Sea, another Amazon Studios film that won two Oscars and was dull and inferior next to this film. Chalamet and Carell give exceptional performances, and I highly suspect they’ll both end up with Oscars one of these day, or at least they should. And clear the frontier of its fear. It’s been far too long since I gave my dear Viewing Companion (VC) a chance to pick a movie, and after her choice of Tombstone several months ago, she wanted to compare it to Kevin Costner’s competitor Wyatt Earp. Released just a year after Tombstone, which centered solely on the events surrounding the famous gunfight at the O.K. Corral, Wyatt Earp sought to differentiate itself by painting a much broader picture of Wyatt’s entire life, from his childhood to his later years. But all that’s not to say that Wyatt Earp doesn’t have its merits. My VC called it “an admirable attempt” at presenting Earp’s full story, and it did give more insight into what formed him into the cold and fearless lawman he became. Story elements like his tragic first marriage or how his father (Gene Hackman) saved him from a particularly low period in his life certainly add to his character, with details Tombstone didn’t have the time or inclination to include. Plus, the performances are solid throughout with an all-star cast to rival that of Tombstone. I must mention the Lost alert for Jeff Fahey as Ike Clanton, but many will also recognize Mark Harmon, Jim Caviezel, Bill Pullman, JoBeth Williams, Isabella Rossellini, Catherine O’Hara, Tom Sizemore, Adam Baldwin, and Tea Leoni. And I mustn’t forget Dennis Quaid as the TB-ridden Doc Holliday, with Quaid’s commitment evident in how gaunt and sickly-looking he became for the role. Everyone does a fine job in the acting department, but again they rarely compare with their Tombstone counterparts. As well as Quaid does, he’s no match for Val Kilmer’s career-best role as Holliday, just as Kurt Russell overshadows Costner, though I can see Costner’s darker interpretation being more true to history. The friendship between the two of Earp and Holliday is definitely better defined and presented in Tombstone. Yet it’s mainly in the comparison that Wyatt Earp falls short; on its own, it’s still a good film with more than a few strong moments exemplifying Earp’s tough-as-nails persona. James Newton Howard’s sweeping score also elevates it as a western. If you can get Tombstone out of the back of your mind, Wyatt Earp proves to be a comprehensive and well-produced history lesson, with plenty of creative license that acknowledges how history becomes legend. Or else end up disgraced. To live and prosper still. I don’t typically watch and review documentaries, but as a lifelong fan of Star Trek, I couldn’t pass up a celebration of Leonard Nimoy and his most iconic role. 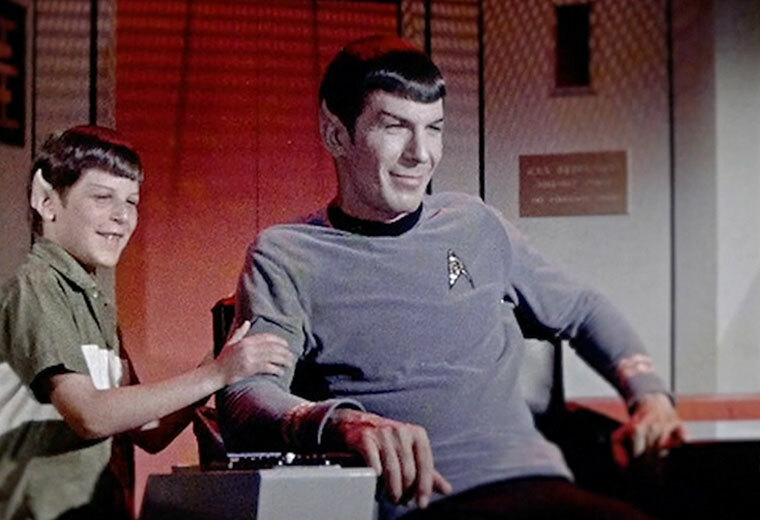 Funding through Kickstarter, For the Love of Spock is unique in that Nimoy himself was actually involved in its production until his death in 2015, and his son Adam Nimoy not only finished the doco but turned it into a moving retrospective of his father and their rocky relationship. I love Spock. Who doesn’t love Spock? Whether it’s Nimoy in the original series and films or Zachary Quinto in J.J. Abrams’ reboots, the half-human, half-Vulcan science officer of the Enterprise is a both compelling and surprisingly lovable character, even with his famous emotional reserve. 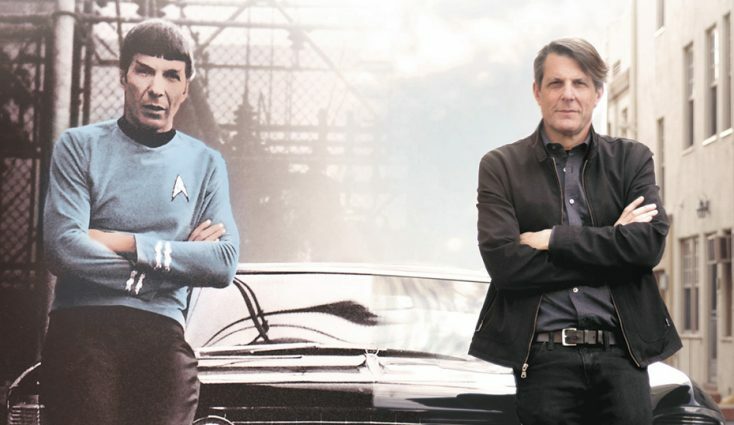 For the Love of Spock dives into the original man behind the ears, from his early acting days to his musical and artistic pursuits to how he and his family reacted to the sudden stardom that Mr. Spock foisted upon them. Apart from Nimoy and his son, there are a plethora of celebrity interviews that provide commentary of Nimoy’s life, whether the experiences of co-stars like William Shatner and George Takei or the geeky influence he imparted to Neil deGrasse Tyson, Jim Parsons, and J.J. Abrams. It’s a brilliantly edited encapsulation of all that Nimoy and Spock have given popular culture and boasts the emotional resonance of the loss of a legend and some surprising stories of how that legend developed, such as the Jewish origin of Spock’s “Live long and prosper” hand gesture. (You probably can’t see, but I’m doing it right now.) Occasionally, it’s also very funny, as when it recaps Nimoy singing “The Ballad of Bilbo Baggins,” which is possibly the biggest what-the-heck moment I’ve seen all year and which I had to include below. As I said, I don’t often watch documentaries, but I’ve liked the few I’ve seen, with For the Love of Spock up there among the best. I use a simpler “Thumb” system for docos since they’re harder for me to compare to narrative films, but this is undoubtedly worth Two Thumbs Up. Perhaps certain periods aren’t covered in as much detail, like the original films or Nimoy’s first autobiography I Am Not Spock, but Star Trek geeks and semi-geeks alike will find plenty to enjoy. “It won’t be just logs I’m splitting. Once from prison I’ve departed. 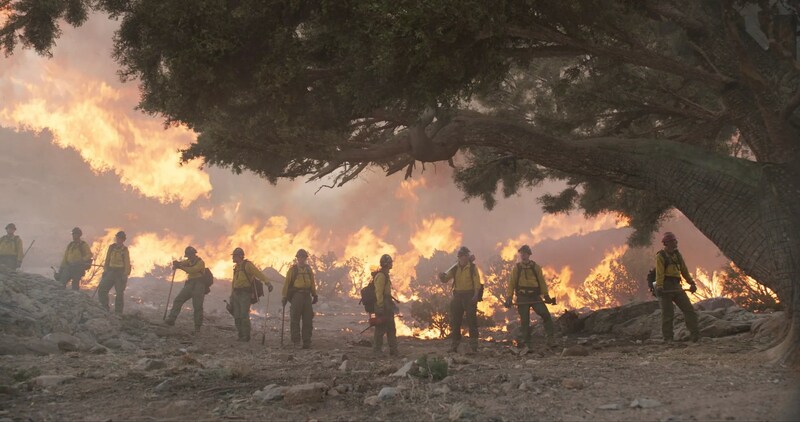 Yes, I’m reviewing another disaster movie, but whereas The Hindenburg was about a major historical incident, Only the Brave focuses on a much more down-to-earth disaster which can affect anyone: wildfires. Though I’ve been told only you can prevent them, it’s real-life heroes who do the actual work of keeping them at bay once they get out of control, and one such group of heroes were the Granite Mountain Hotshots, a firefighting team from Prescott, Arizona. Josh Brolin plays Superintendent Eric Marsh, who believes in his intuition and experience enough to rally his own team of certified Hotshots, firefighters who would be on call to answer both local and national fire emergencies. To that end, he recruits both old friends and new blood, including Brendan McDonough (Miles Teller), a loser by all definitions who finds in this new job a chance to renew his pathetic life. The training, teasing, and camaraderie that come with the Hotshot certification are quite comparable to what you see in military movies, and the successes and failures are likewise felt deeply. McDonough’s second chance at life is also inspiring alongside the ambitions of Marsh, who sees himself in the younger man’s struggles. The effects recreating infamous fires are brilliantly done, while the excellent cast provide both likable characterization and insight into the methods and struggles of the firefighting business, including the toll it takes on their family, such as Jennifer Connelly as Marsh’s long-suffering wife. I suppose my only complaint (Spoiler!) 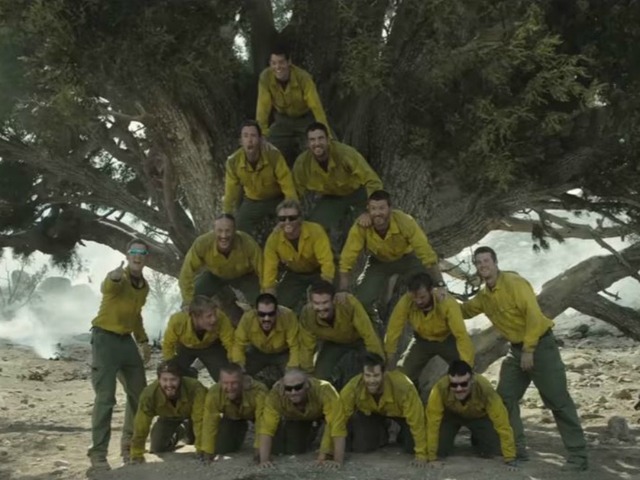 is that I didn’t know what kind of movie Only the Brave would become by the end and was thus unprepared for a certain tragic turn of events. Those aware of the true story surely knew going in, but let’s just say this is as much a memorial movie as it is a disaster one, and it caught me off-guard, which isn’t even really a criticism since it does both very effectively. It’s a well-acted tribute to the kind of heroism that is all too often overlooked. And watched the vendors sell their wares. The writer had done no such thing. To shape what only he could say. 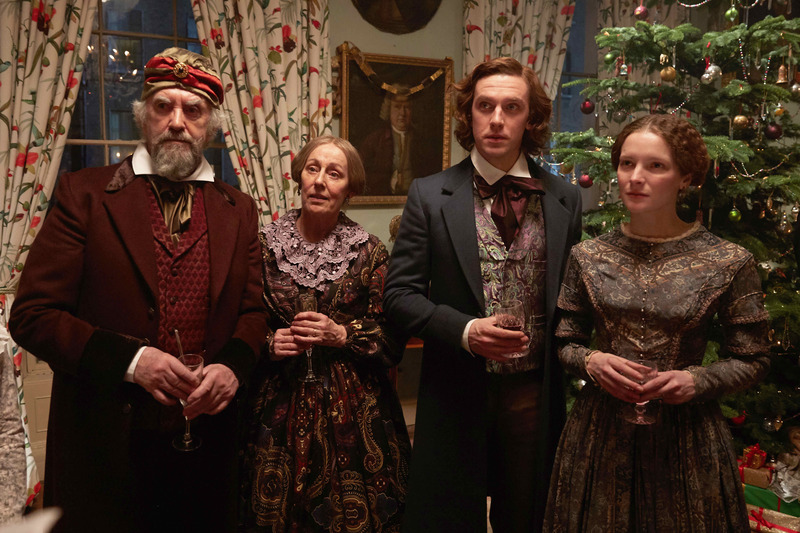 Considering how much I love A Christmas Carol and movies about literature, I was excited for The Man Who Invented Christmas, a yuletide biopic about Charles Dickens’ tumultuous writing of his most famous work. While I liked it quite a bit, I wonder if my hopes were too high since it wasn’t the instant classic I had thought it might be. I can’t say I was disappointed since it lived up to its trailer at least, but it didn’t surpass any of my expectations either. Dickens, played by Dan Stevens, hits a wall when his fame and fortune are diminished by three commercial flops in a row. After contending with writer’s block, the sight of a rich man’s funeral gives him the seed of an idea, and what the world will eventually know as A Christmas Carol speedily develops in his mind as he rushes to get it written and printed in time for Christmas sales. Along the way, he contends with his spendthrift father (Jonathan Pryce), his own past trauma, and his characters mentally coming to life, including a critical Scrooge (Christopher Plummer). I must say that Stevens is outstanding, playing Dickens with just the right amount of ego and eccentricity, the way we imagine many creative geniuses might have been. When he entertains his children with random voices, I could imagine Robin Williams playing this role thirty years ago. Likewise, I loved the visualization of his creative process, as he interacts with characters only he can see, only to have them vanish when he is all-too-often interrupted. The story also provides a glimpse into Dickens’ difficult childhood, offering insights into what made him the ambitious but compassionate man he was, and it was interesting to see how his original plan for an unhappy ending yielded to others’ hopes and beliefs that even the worst men can change. So, yes, I did enjoy it, including its lesson of forgiveness and the reminder of how Dickens shaped the Christmas holiday we know today, which was not as vigorously celebrated back then. I suppose the weakest aspect was Pryce as Dickens’ father John, whose good nature is undermined by drunkenness and financial waste as he mooches off his son. Despite John’s good intentions, I didn’t blame Charles much for snapping at him at one point, and it didn’t seem entirely right that Charles is in the wrong and apologizes with little change seen on his father’s part. Despite that objection, I’ll still gladly watch The Man Who Invented Christmas if it comes on TV around Christmastime to enjoy its well-acted, wholesome glimpse into the mind of a great author. I’m just a little sad that there was something lacking, which will make me more likely to just watch some version of A Christmas Carol instead of the story behind it. So say the few who rule opinion rather than the truth. And make me think the world has wider interests than my own. Will lose esteem as others deem them equally bizarre. The kind that glares and does not care how personal joy is. There’s always some who won’t succumb to sanctions set in stone. I love musicals, and I don’t really understand people who don’t. When catchy music, a compelling story, and strong performances combine, it’s sheer magic, and even one or two out of the three can still be darn entertaining. I had high hopes for The Greatest Showman, and this is one of those rare cases where a movie met and exceeded my expectations. The film tells the fictionalized story of P.T. 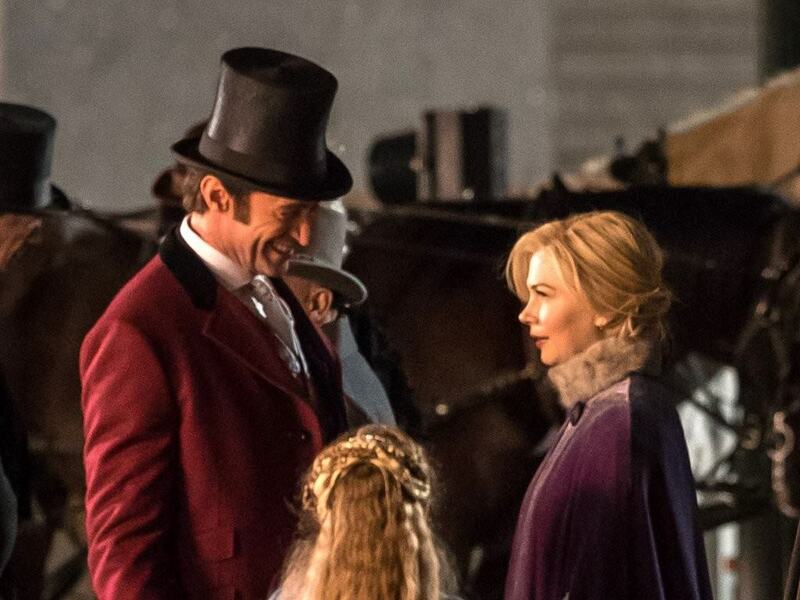 Barnum (Jackman), from his humble beginnings as a tailor’s son to his romance with the well-to-do Charity Hallett (Michelle Williams) to his risky efforts to open a museum of the odd and unusual. Barnum’s ploys draw the ire of savage critics, and he endeavors to appeal to both the common man with his circus and the judgmental elite with a new right-hand man (Zac Efron) and a European opera star (Rebecca Ferguson). I have no idea how true-to-life the film’s events are, and my guess would be probably not very. I’ve always thought of Barnum as an unabashed huckster taking advantage of people’s willingness to be fooled, and that’s certainly part of Jackman’s character. Yet he’s also depicted here as a devoted family man, and his profiting off of his circus of “freaks” also resulted in a newfound confidence and home for those who society had rejected. Jackman’s Barnum strikes a good balance between user and empowerer, and the film is wholly supportive of him and his sideshow, so engagingly in fact that its historical accuracy (or lack thereof) doesn’t detract one bit from the entertainment value. Having loved both Les Miserables and High School Musical, it was wonderful seeing Jackman and Efron back in musical mode, joined by Williams and Efron’s fellow Disney Channel alum Zendaya as their respective love interests. Yet as good as its stars are, The Greatest Showman soars on the strength of its music, courtesy of Broadway duo Pasek and Paul, who just won an Oscar last year for La La Land’s lyrics and a Grammy and Tony for the show Dear Evan Hansen. I’d already heard the biggest numbers “The Greatest Show” and “This Is Me” (Golden Globe winner and Oscar nominee for Best Song), but I wanted to experience the rest of the soundtrack firsthand as part of the movie. Those two are wonderful with “The Greatest Show” (uninterrupted) probably being my favorite, but the whole soundtrack is electric. I was dancing in my seat during “Come Alive” and “From Now On,” and the exuberant choreography only added to the infectious joy. I could recognize first-time director Michael Gracey’s experience with music videos, since even a barroom conversation between Jackman and Efron is given rare visual flair, though the reliance on CGI at times does crack the illusion a little. And man is reminded how great is its sin! To battle and blood, as the wise can predict. The truth only mastered when foolishness dies. That war is a futile and grave exercise. Then do the innocent fools become wise. Alicia Vikander broke onto most people’s radars with 2015’s Ex Machina and her Oscar-winning role in The Danish Girl, but Testament of Youth not long before them should not be forgotten. Based on the same-titled World War I memoir by Vera Brittain, Testament of Youth features the kind of lead performance that makes one wonder why it didn’t get more awards attention. As Brittain herself, Vikander plays an early feminist whose academic dreams are dashed by the onset of war and its unforeseen tragedies. I’d never heard of Vera Brittain or her apparently famous memoir before this movie, but that’s why I love well-done adaptations that introduce me to new and worthwhile stories. Early on, Brittain is a relatively carefree girl whose greatest challenge is convincing her father to let her go to Oxford. Thanks to the intervention of her brother Edward (Taron Edgerton in one of his first roles) and a sympathetic professor (Anna Chancellor), she is able to attend her dream school, right as she’s also finding love with one of Edward’s friends, Roland (Kit Harington of Game of Thrones fame). Before long, though, the Great War begins, and when all her male friends enlist, Vera’s priorities shift as well, compelling her to join the war effort as a nurse, first on the home front and later in France. Testament of Youth may seem like your typical beautifully mounted British period piece, and if you don’t like beautifully mounted British period pieces, you might find it boring. Yet the cinematography is sumptuous and the acting of everyone involved stellar, with Vikander in particular embodying the wartime transformation of the nation as she develops from a naïve schoolgirl who advocates her brother joining the military to a war-weary mourner reeling from all that was lost. There are times when it seems to be treading familiar ground, such as a shot lifted straight from Gone with the Wind, but a scene where Vera declares to a vengeful crowd the best way to respond to the defeated Germans is especially powerful. While the end could have been depressing as heck, there are glimmers of hope as she discovers how to move beyond misfortune. 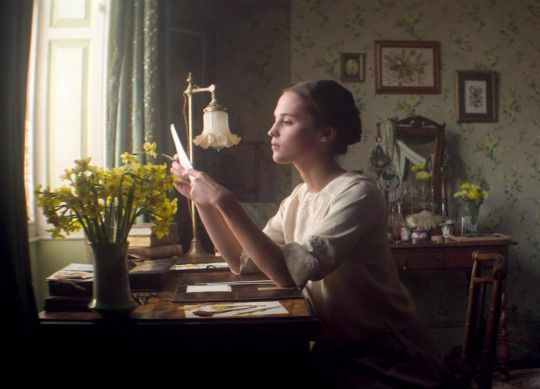 As far as style, the closest thing I can compare Testament of Youth to is the John Keats biopic Bright Star, which also imbues a tragic true romance with a poignant beauty and literary passion. The anti-war themes center on loss and empathy, which is strongly endorsed through Brittain’s nurse experiences, as when she cares for both British and German soldiers as if they were her own brother or fiancé. Whether you’ve heard of it or not, Testament of Youth is a prime choice the next time you’re in the mood for a beautifully mounted British period piece. Is this mere pain or is this hell? ‘Tis hell if I but make it so. That self alone brings spirits low. Before my body dares to die. And value things they have not lost. And both extremes have staggered me. There are some movies that remind you how blessed you are and how grateful you ought to be. Films like Cast Away and Room show us people deprived of life as usual, and things once taken for granted gain far greater value when they are reclaimed. The Diving Bell and the Butterfly may lack such recovery of normal life, yet the story of Jean-Dominique Bauby made me value everything he lost so suddenly. Formerly the editor of Elle magazine, Bauby (Mathieu Amalric) suffered a sudden stroke in 1995, awakening after a twenty-day coma to discover that his entire body was paralyzed except for his left eye, a rare condition called “locked-in syndrome.” The film begins as he wakes up, and the camera’s first-person view lets the audience hear Bauby’s thoughts and see what he sees. It reminded me a lot of the season 7 M*A*S*H episode “Point of View,” where the audience sees the typical M*A*S*H operations through the eyes of a wounded soldier. As in that episode, doctors and visitors speak directly to the camera, delivering bad news and hollow encouragement alike. Although flashbacks and third-person views are more prevalent later on, a good chunk of the film is furnished through Bauby’s perspective, which is uncannily effective, such as when the screen blinks to portray Bauby’s only means of communication or when his right eyelid is unnervingly sewn shut to prevent infection. I can envision a present-day version of this story turning into a pro-euthanasia tale bemoaning his pitiful quality of life, but The Diving Bell and the Butterfly is thankfully instead a reminder of the humanity hidden behind Bauby’s withered form. Amalric does a fine job, both in the pre-stroke sequences and his rigid paralysis afterward, managing to convey emotion with just one eye, even more minimalist acting than Eddie Redmayne in The Theory of Everything. Hearing his thoughts reminds us that there is still an active mind behind the expressionless face, one able to think, compose, regret, gripe, and even laugh at himself now and then. At one point, Bauby does wish for death, only to have his nurse scold him for even considering it, urging him to remember everyone who still cares about him. Plus, despite being called a vegetable, he shows the initiative of writing the memoir on which the film is based, dictated a letter at a time by blinking with a special alphabet method and a very patient nurse. Although he points out the ineffectiveness of prayers offered for him by his children and various religious groups, even Bauby ends up acknowledging the reality of miracles. The other actors playing friends, loved ones, and nurses are also phenomenal, from Emmanuelle Seigner as the still-devoted mother of Bauby’s children (whom he regrets not marrying) to Anne Consigny and Marie-Josée Croze as his faithful nurses/therapists. Moving comparisons are made between Bauby’s situation and that of a friend who was imprisoned by terrorists, as well as of his apartment-bound father (Max von Sydow), and an indirect phone call between Bauby and his father is particularly emotional. I’m typically not a fan of films like this with artsy editing and high-minded metaphors, but it doesn’t come off as pretentious here. There’s plenty of symbolic imagery, like collapsing ice-shelves or the diving suit and butterfly of the title, which seem to represent Bauby’s confinement and the freedom of his imagination, respectively. The Oscar-nominated cinematography is luminous and frequently out of focus when seen through Bauby’s vision, and the first-person views really exhibit the talents of the cast. Bauby’s dream sequences and flashbacks serve more of a purpose than escaping his affliction; they manifest the simple things he once took for granted: a sumptuous meal, a passionate kiss, a mere drive through the countryside, things we forget to value until they’re gone. Deservingly nominated for four Oscars, The Diving Bell and the Butterfly is a paean to life and empathy, to the selflessness of nurses and caretakers, to the bright side of a wretched situation. Despite the sadness of it, the film’s end fosters a unique sense of inspiration, reinforced by the rewound images played over the credits to the song “Ramshackle Day Parade” (worthy of my End Credits Song Hall of Fame). One wonders why such a terrible thing would happen to someone, but the way Bauby’s story ends, I can’t help but wonder if it was simply to supply the world with a much-needed tale of encouragement amid adversity.